Lockheed "Red Baron": construction number 2051 was taken out of the 1st batch, was not test flown, not delivered to Germany and used by Lockheed as fatigue failure test aircraft and mock-up. Reportedly used for the F-104RB by Lockheed test pilot Darryl Greenamyer in 1976. But this is not confirmed! 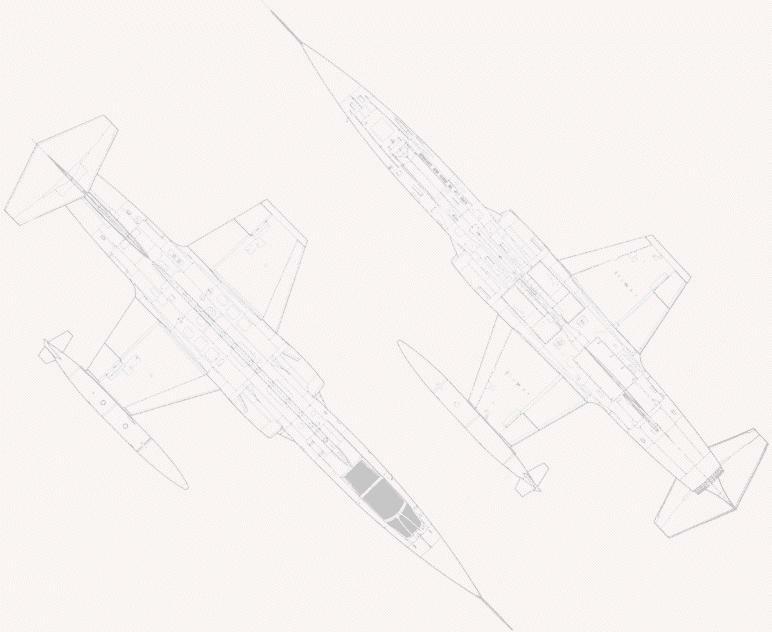 Darryl Greenamyer assembled a Starfighter from non-serviceable ex-military components. Designated the F-104RB (Red Baron) he set a low-level world speed record over a 3 kilometer course at 1.590 km/h (988.26 mph) on October 24, 1977. The Red Baron was lost in 1978.